It’s Monday. The start of a new week. Time for new beginnings. If I had a penny for every time I said “I’ll start my diet on Monday,” I’d have more money than Richard Branson and Warren Buffet combined! Can you relate? 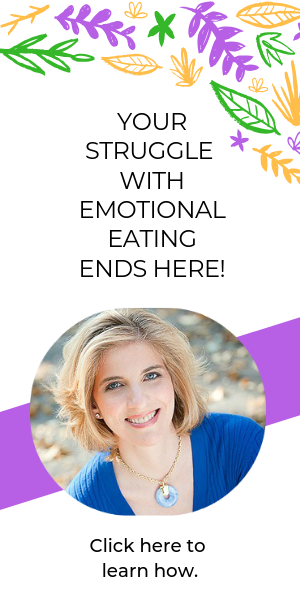 I’ve heard this from a lot of emotional eaters. We’re always putting off the work that needs to be done because it feels so overwhelming. And then we have an excuse – we don’t have to start today because we have a plan to start on Monday. And then Monday comes and something gets in the way to derail our plan. Something as in life…we’re late for work so we grab whatever is fast and easy to eat. Or a family member needs something. Or it’s raining. Or we’re tired. Or there are donuts in the conference room so you promise yourself you’ll start tomorrow. This vicious cycle will continue until you stop it. Yes, you. You have the power to change. You have the power to be your best self. 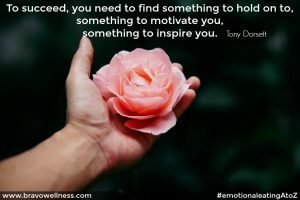 The question is, are you inspired to make the changes you desire? Can you see the end result? Can you visualize the person you want to be? This moment is a new beginning. It happens to be Monday, but that doesn’t matter. It’s this moment. And the next and the next one after that. 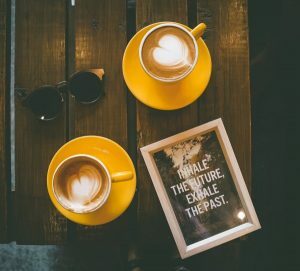 Inhale the future – what’s possible? Exhale the past – as Elsa sang in Frozen – the past is in the past (let it go!). Inhale again – ask yourself, “what’s the next step I need to take to create what’s possible for me?” Exhale what I know you’re thinking – I’ve tried this before and it didn’t work. 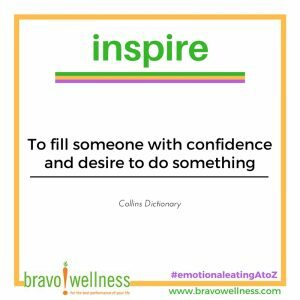 Inhale again – I can do this! Exhale. Smile. You’ve got this…right now, in this moment! I know you do. Lately, I’ve been inspired by books. I just finished two great ones: Better Than Before: Mastering The Habits of Our Every day Lives by Gretchen Rubin, and The 5 Second Rule by Mel Robbins. This week I am reading The Receiving: Reclaiming Jewish Women’s Wisdom by Rabbi Tirzah Firestone. I want to mix the practical and tactical with spiritual messages. Sometimes it’s a song that inspires me; other times its a picture or a flower. Or the sunshine. Or the rain. That’s the beauty of life. Inspiration is all around us. It’s ours to embrace – in each and every moment.